Very few properties can say they have a long running series that have delivered such a wide array of genres for decades much like Dragon Ball has. Akira Toriyama’s magnum opus spans countless generations throughout a multitude of mediums, each with their own twist and flavor to appeal to just about anyone out there with an interest in Dragon Ball. From fighting games, to RPGs, to strategy games and beyond, Super Dragon Ball Heroes: World Mission now builds upon that roster of titles by introducing Japan’s number one digital card game for years to the western market at last and makes it accessible at the comfort of your own home and on the go. Super Dragon Ball Heroes: World Mission retains all of the epic moments Dragon Ball has, but through the eyes of a pre-teen fan of the heroes, utilizing cards in a multitude of decks to dish out all of the epic attacks from over 350 characters spanning well over a thousand cards. 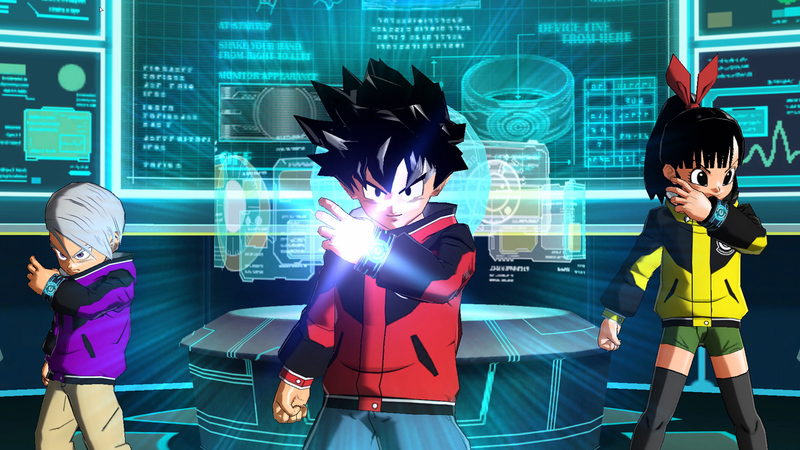 The protagonist has a custom name you can enter, making the experience a little more personal, and soon after you’ll find yourself in Hero Stadium – a part of Hero Town that mostly serves as your hub – where other players are playing Super Dragon Ball Heroes while an ongoing open exhibition is taking place. Due to your excitement, you decide to enroll, but since you have no cards at your disposal the attendant at the front gives you some to start out with. The first portion of Hero Stadium and shortly after you leave more or less serve as a hands-on tutorial to get you familiar with how the game is played, how the cards work and differentiate from each other, as well as basic rules to make sure you get a grasp of the core mechanics without overwhelming you. It’s a nice way to ease you in since card games can sometimes take a lot of time and investment to truly get into, but Super Dragon Ball Heroes does an awesome job at making sure you feel comfortable with as little stress as possible. Things can easily get hectic later on in the game as you find yourself flashing your UR (Ultra Rare) and SR (Super Rare) cards from your gacha prizes, but there’s no battle that can’t be overcome and cause you to lose sleep like Yu-Gi-Oh! Dark Duel Stories or the Pokemon Trading Card Game on Game Boy Color did for me when I was a child. Those that have played their fair share of mobile games kind of understand the concept of gacha, even if they’re not entirely familiar with the terminology. In just about any case, players will use in-game currency or a specialized item to “spin”, “pull”, “summon” or “obtain” a mechanism that pops out a particular asset at random. Gacha rates are notorious for being incredibly low for the rarest cards, which to a degree is reasonable considering the word “rare”, but lots of rates find themselves at less than 1% – hovering around 0.5% – incentivizing players to dish out real cash for the behemoths. With Super Dragon Ball Heroes: World Mission, I was a little worried we’d be seeing a similar thing here with the cards despite the $60 premium, but thankfully that’s just not the case. As of this review, there’s no DLC in the eShop allowing you to get more Zeni or Gacha Tickets (though I’m sure we’ll see it at some point similar to TP Medals in Xenoverse), and there’s no other way to acquire cards in the game outside of special moments except to go to the Card Gacha shop in Hero Town or via your Hero Switch menu. To make things a little more acceptable and accessible, Gacha Tickets are split into two types: Gacha Tickets and Gacha Tickets (Rare). You can use these to get the cards you’re looking for, and you can select with expansions to draw from, making certain hunts easier than others. Any duplicates you get are converted into Gacha Ticket Pieces, where after 10 pieces you can convert them into one Gacha Ticket for another chance at getting cards. The process is easy and in some ways fun, giving players more of a reason to battle online, locally, or doing everything they can to get more Zeni and Gacha Tickets by the way of capsules you’ll come across and other chance moments. Nothing ever feels out of reach, and getting duplicates is almost welcome since you’ll find yourself with yet another chance at glory with more ticket pieces. While it’s obvious the rarest cards will be the most sought after, it’s not always beneficial to have a deck of nothing but. With seven cards per deck with up to fifty in total, the strategies and approaches to battle are countless. The easy to learn hard to master style of Super Dragon Ball Heroes leaves tons of possibilities out in the open with cards complementing each other for bigger rewards and higher chances of victory. Most cards of passive abilities, regular abilities, specials, and unit abilities. The units are activated when particular cards are in your deck in tandem with a certain card’s request. For example, there’s a Hercule that, if teamed up with a Goku (DBZ Basic) and Majin Buu (Berserk), by the third round you can initiate a move that will cause the whole team to heal and do 3000+ damage on the next attack. Tons of cards have these kinds of team ups that give another layer of strategy, which includes all sorts of fusions and ascensions in addition to passives and buffs that could change the course of a battle at any given moment. Getting rare cards will give you more HP, Power, Guard and Stamina, sure, but rare isn’t always better, and certainly not in a game of wits. It’s not to say they don’t have their uses – they absolutely do – but to make a team of nothing but the rarest cards in the bunch without any thought to what they’ll activate or deactivate round by round is foolish. Every card is complementary, and with over a thousand cards at your disposal, anything is possible. The cards come in three different types: Hero Type (red cards), Elite Type (blue cards), and Berserk Type (purple cards). Hero Types are well balanced and easy-to-use fighters with high Guard and Stamina. Elite Types are stamina-oriented fighters specializing in STA-based (Stamina) attacks. They’ll typically be using a lot Ki Blast attacks, allowing for more of an area-of-effect. Berserker Types, as you can imagine, are damage oriented fighters where their main focus is to reduce enemy HP. These fighters tend to have low Guard and Stamina, making them susceptible to Stun, so you won’t be able to attack or defend yourself with the “Chance Impact” ability that’s initiated during fights as a small mini-game where the opponent with the highest bar wins. Co-op bonuses also help cripple the opponent further when Perfects are achieved. Content is king in Super Dragon Ball Heroes: World Mission, and for card enthusiasts it’s an absolute blast to play through and collect everything. However, it’s not without fault. Production value is low, and undoubtedly you can see the almost “pure port” perspective of it with little touch up done to any pre-existing assets. The audio at a lot of times is abysmal, with Great Saiyaman 3’s voice sounding like it was a recording of a recording of yet another recording all done on a cassette tape at 64kbps. Sound effects are better but still lack a certain shine from proper mixing and mastering, all while being reminiscent of the days of the introduction of the term “hi-fi” in a lot of marketing with stereo headphones accompanied by a Walkman. Some cutscenes would flash images that were very low resolution with noise and distortion (like when introducing Super Dragon Balls). It was off-putting when an otherwise clean looking game, despite the lack of graphical prowess, would all of a sudden hit you with these poor, cheap components arbitrarily. Lots of audio clips mask over each other too, like whenever you register your cards in your deck for battle, and everyone speaks at the same time, delivering the most cacophonous flood of word soup palatable to no one. The usual battle effects heard throughout Dragon Ball’s history are here as well, and in battle a lot of audio, including voice over clips, play simultaneously. It’s a bit of a headache, and the music, while not bad by any means, can get repetitive. There’s an Anime Music Pack available as DLC in the shop similar to what was done for Dragon Ball FighterZ, but none of it necessarily feels like “fight music”, and instead just plays on nostalgia with intro theme songs that are nice to listen to while playing but at the same time feel out of place. “Cha-La Head-Cha-La”, while iconic, isn’t exactly the most fitting piece when Vegeta in an alternate timeline of the Saiyan Saga goes Super Saiyan 3 and proceeds to destroy anything and everything around him. What Super Dragon Ball Heroes: World Mission aims to do works well for its faults, leaving it with many more pros than cons. With myriad cards all beautifully designed and tons of modes to show off your cards from stories to tournaments, it feels great having a readily accessible card game that’s fun for all ages and is deep enough to spend countless hours on perfecting your next big play and team. Touchscreen support is indeed present in the Switch version of SDBH, and *almost* the entire game can be played as such, but character movement and map traversal will require physical inputs. The battles themselves, however, can all be done with a simple tap and swipe of the finger, with tons of icons and graphics even being presented as such. It may be unorthodox for a lot of people, but Dragon Ball has always had a trading card game behind it, and while it may not have taken off and been as ubiquitous such as Magic or Hearthstone, Super Dragon Ball Heroes breathes a second life with a reimagined style of card game mechanics that work for the Dragon Ball property and still make it feel like a fighting game without all the complex inputs or hand-eye coordination needed. 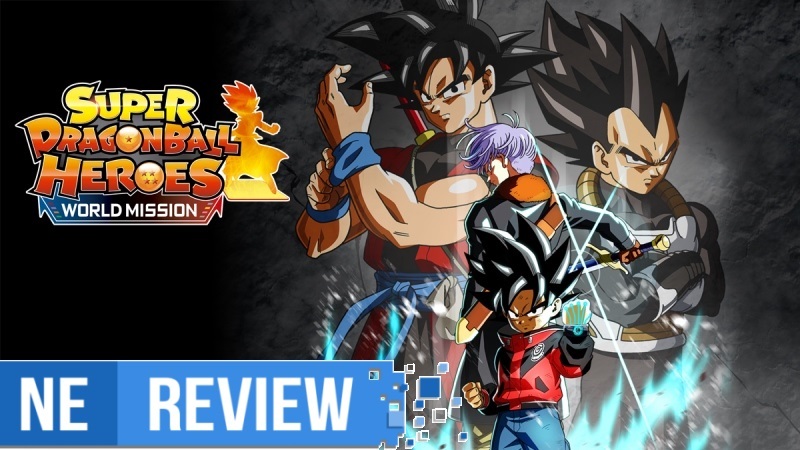 Super Dragon Ball Heroes: World Mission is a fun and exciting game and puts you in the shoes of a kid who’s just like all of us – a fan of Toriyama’s universe of memorable characters and moments that will forever be with us. 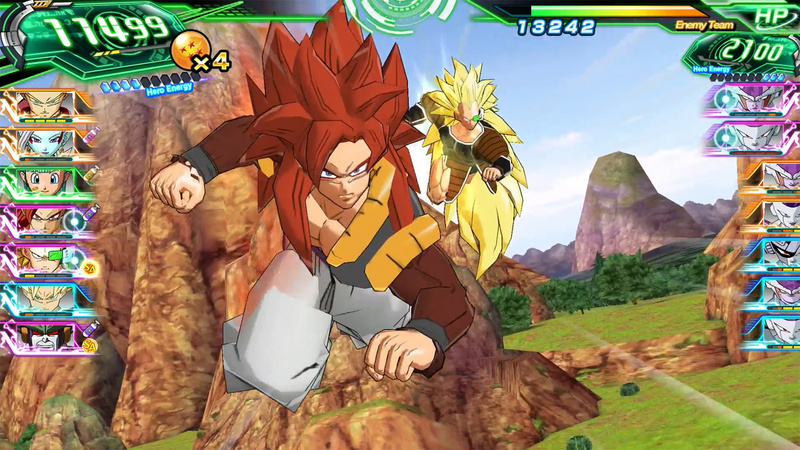 Super Dragon Ball Heroes: World Mission brings the popular arcade digital card game from Japan to the west at the comfort of our own homes, and we’re now able to experience first-hand why it’s been such a big hit. Whether you’re a Dragon Ball fan, a card game enthusiast, or both, Super Dragon Ball Heroes is a massive treat to fans looking for a unique Dragon Ball experience that isn’t just another fighter we’ve seen time and time again. It’s easy to learn, hard to master, yet entirely rewarding in how you play, and with so many cards to choose from – over 1000 in fact – there are so many possibilities and ways to construct decks (up to 50) that are tuned to your style, all while having all the amazing and iconic characters we’ve grown to know and love. 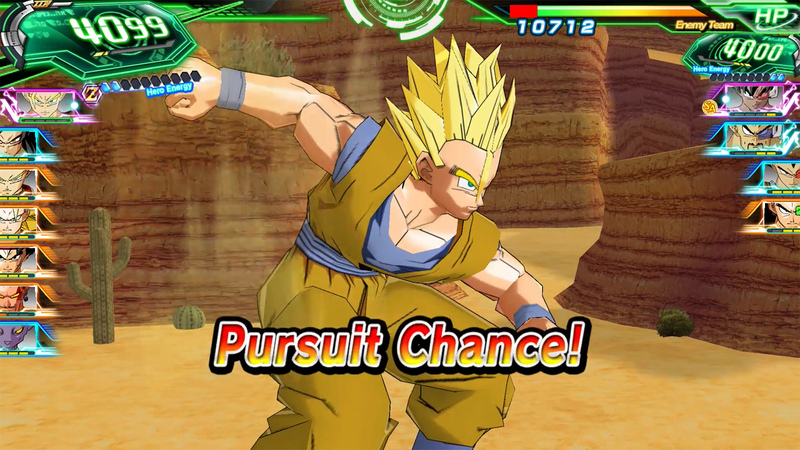 While the graphics and audio leave much to be desired, the overall presentation of the game is intuitive and runs without fault, and it excites me to think about all the possibilities that could come from this if it sees success outside of Japan, giving the rest of the world a chance to delve into a more strategic yet equally as competitive Dragon Ball game that’s sure to find a home for years to come. Super Dragon Ball Heroes: World Mission review copy provided by Bandai Namco for the purposes of this review.